It's only one more day to the start of the Emersons 3 Peaks Enduro in Dunedin this weekend, sponsored by Shockcraft. 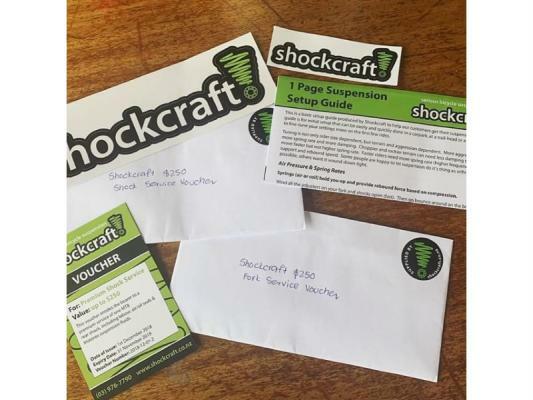 There are two $250 Shockcraft suspension service vouchers up for grabs (full details here). All you have to do is get your best angle up on either FB or Instagram, use the official hashtag #3peaksenduro, tag @emersons3peaksenduro & get your mates on board as the two posts with the most likes will win. Winners are to be announced at the race prizegiving. T's & C's apply.